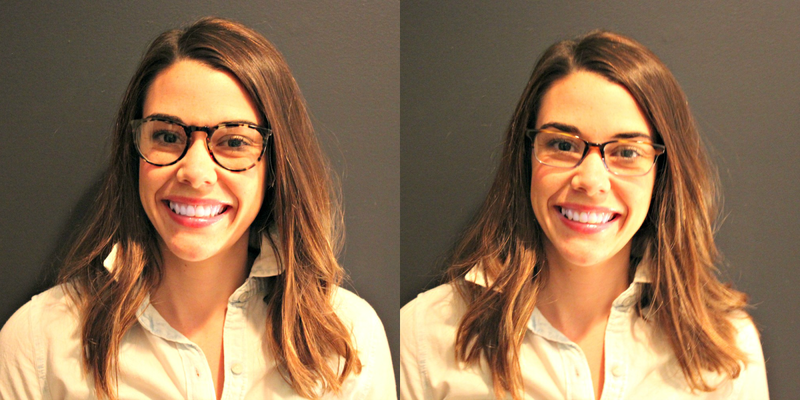 I recently wore my (non prescription) glasses to work and, besides matching my friend, I loved the extra accessory to my outfit. 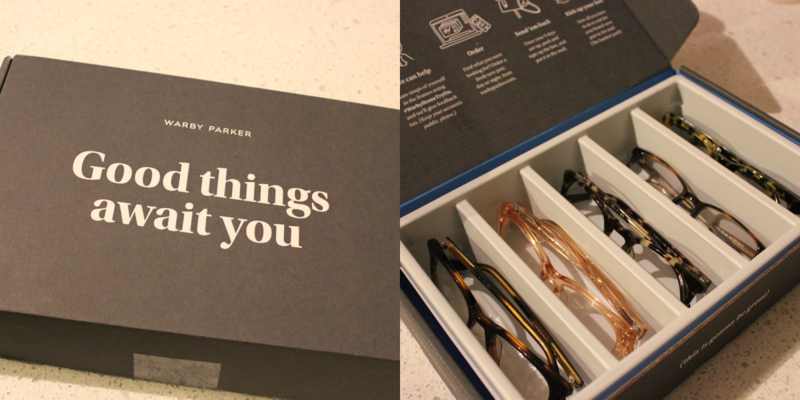 So when I saw Warby Parker came out with their new Spring 16 line, it caught my eye! I love that their line has everything from the traditional tortoise color to fun peach color they call Bellini! From the great reds to blues to grays, the frames and colors offered in the Spring 16 line are all the makings for great, simple options. The line can just about be summed up in one word, fun! It is light, cheery, unique and makes me ready for Spring to arrive! I love the shape of just about every frame they offer. They are all hip yet classic, the perfect look you want for an accessory that is going to be spending a lot of time on your face. To get a better feel for the line, I opted for the Home Try On Program. So genius on their part to offer this up. It was very easy to choose the glasses I wanted to try at home and they arrived in my mailbox only a few days later! This time I just went with the eyeglasses but they also have sunglass options as well. As soon as they arrived I got to tryin' on! The Finch in Bellini are really unique and fun and I love how Springy they are. It is hard to see but the bottom edge of the Durand is a fun, bright red. A modern Sally Jesse Raphael if you will. And what fun is a photo shoot if Floyd is not involved? He was clearly thrilllled to be helping. 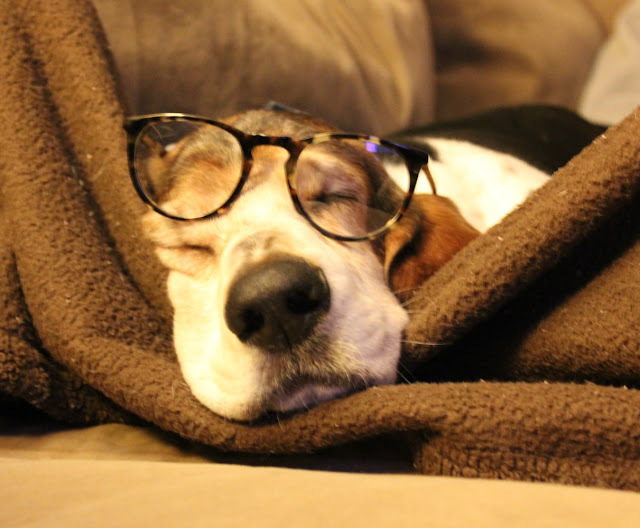 Floyd thinks Warby Parker's next line should involve doggie spectacles. Floyd is such a good helper! ;) I am loving the Preston style on you! So cute!! Floyd. <3 They all look cute on you! 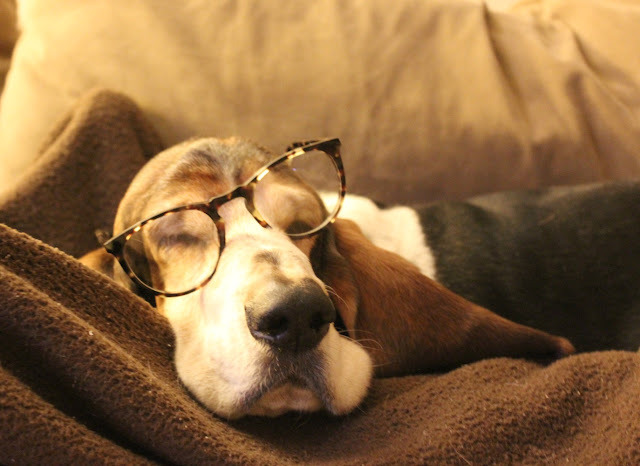 You've got a face that wears glasses well. I have the Prestons, get lots of compliments on them! I have the Preston and love them. They look great on you! But I really love the Finch in that fun color on you. Fits your personality and style I think. Really fun!